Today's bike of the day is this Hercules K125 GS, which is due to go up for auction at the Carole Nash MCN London Motorcycle Show this month. Sachs was the largest European manufacturer of 2-stroke motorcycle engines from the 1950s to the 1970s and its engines were used by many motorcycle manufacturers, the German maker Hercules being the most important. In the late 1950s Hercules (founded in 1886) was absorbed by the Fichtel & Sachs group and from then Hercules motorcycles were also marketed under the Sachs, DKW and Kieft brand names. 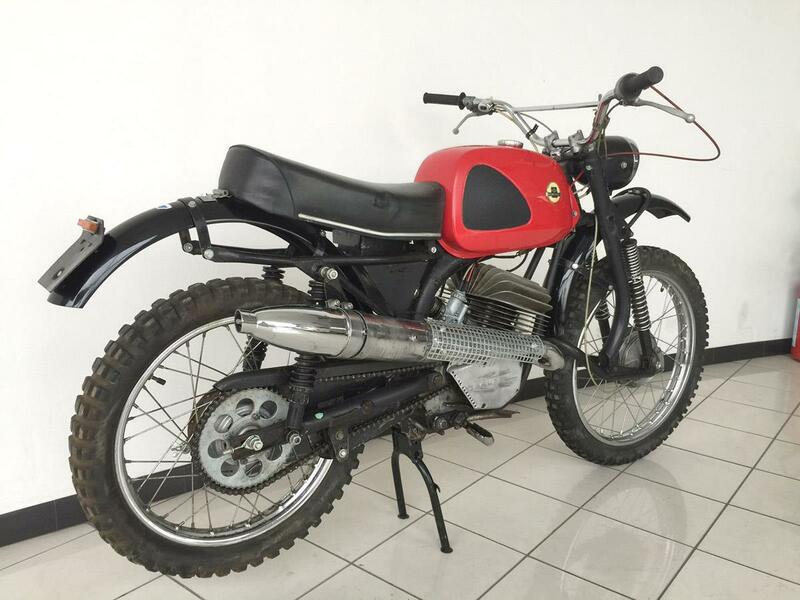 Although the German BMW, Maico and Zundapp brands were accomplished in off-road competition during the 1950s and ‘60s, Hercules also sought success and in 1958 it took its first steps by offering an off-road conversion kit for its Sachs-powered 2-stroke K100/101 model. This was comprised of an Earles-type leading-link fork conversion and an upswept silencer. 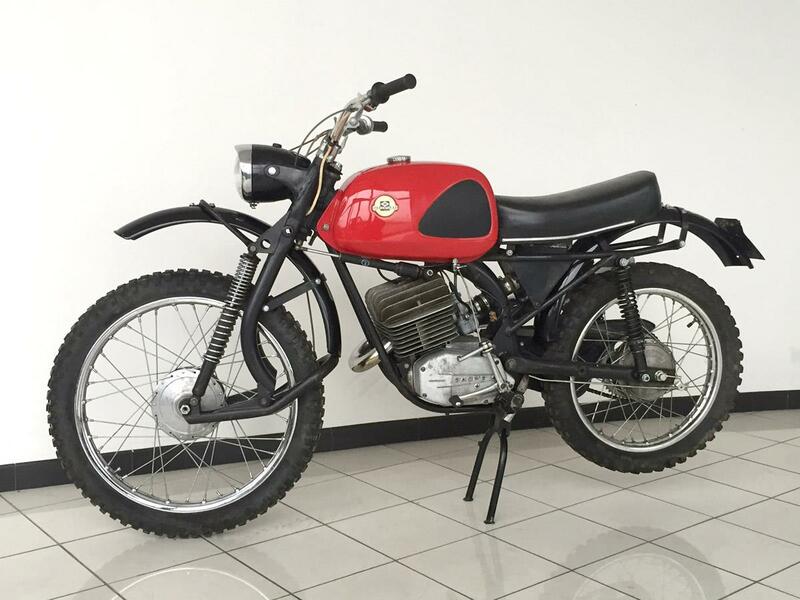 1960 saw two off-road models launched; the K101 GS and the K175 GS, both with Sachs 2-stroke singles, high-level exhausts and well-padded single seats. In 1968 Sachs introduced its new 5-speed engines, and the GS range continued to be updated and expanded until the late 1970s. Although Hercules only won one major off-road title (in 1977), Hercules/DKW/Sachs machines comprised much the field in small-bore motocross races from the late 1960s to mid ‘70s, and this legion of privateer riders won countless medals over the years. Preserved in good original condition, this 125 GS Hercules was the one the first to be fitted with the radially-finned Sachs 125 motor which became ubiquitous during the 1970s. It has also seen some competition us, as evidenced by the scrutineer’s marking on the headstock. It is to be sold on a Coys bill of sale.